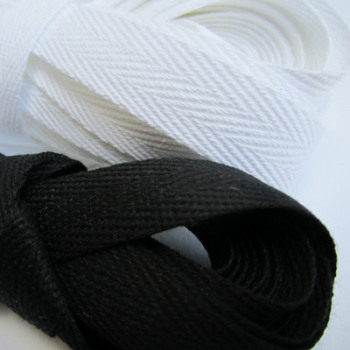 We offer a few different types of boning tape, all selected for durability and quality. 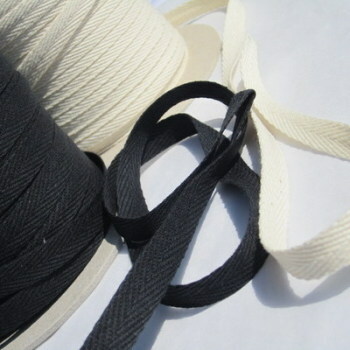 Tubular boning tape is a luxurious option for fine corsetry and dressmaking and is especially useful when you do not plan to use a separate lining, or where you need an extra, non-bulky layer between the bones and the fabric to prevent show through on fine fabrics. Twill tape is good for all corset boning requirements and is a less expensive option. It comes in various widths to suit all of our boning sizes.